Day charters to the magnificent World Heritage listed tropical rainforest rivers including the mighty Daintree to the north and the majestic Russell & Mulgrave systemS only 45 minutes south of Cairns. The North & South Johnson, Mourilyon Harbour, Tully & Murray rivers and Australia’s largest island national park, the Hinchinbrook region boasts superb fly fishing opportunities. Almost every waterway, stream, tidal estuary and even the rocky foreshores and man made rock walls can be prime fishing zones under the right conditions. 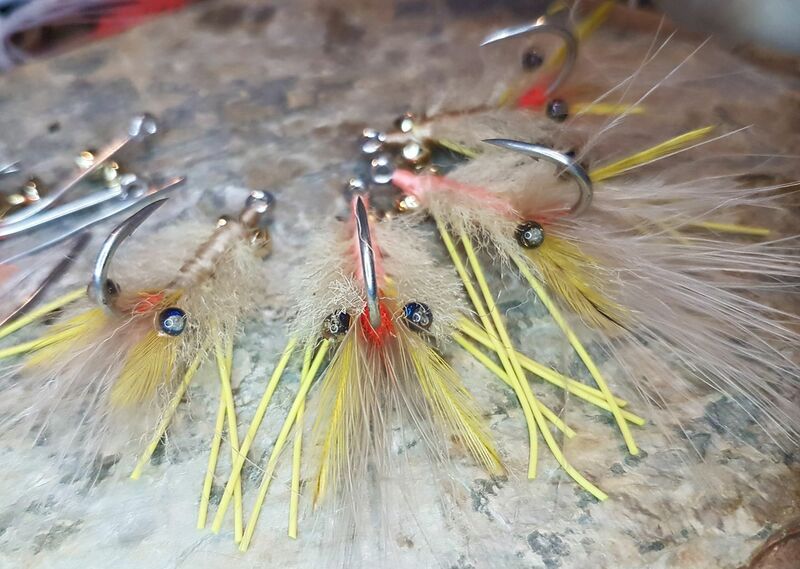 The professional guiding industry has taken up this challenge with enthusiasm and good guides are more than proficient with this demanding, but very rewarding art. If you want Barra, Jacks, GT’s, Golden Trevally, Queenfish, Tarpon and Salmon on the long wand, it can be done. Even the humble Flathead or a Pikey Bream will snaffle the fur when presented correctly. Most fly’s are made of artificial materials these days but needless to say they hit with gusto, put up a great fight and are very rewarding to catch. 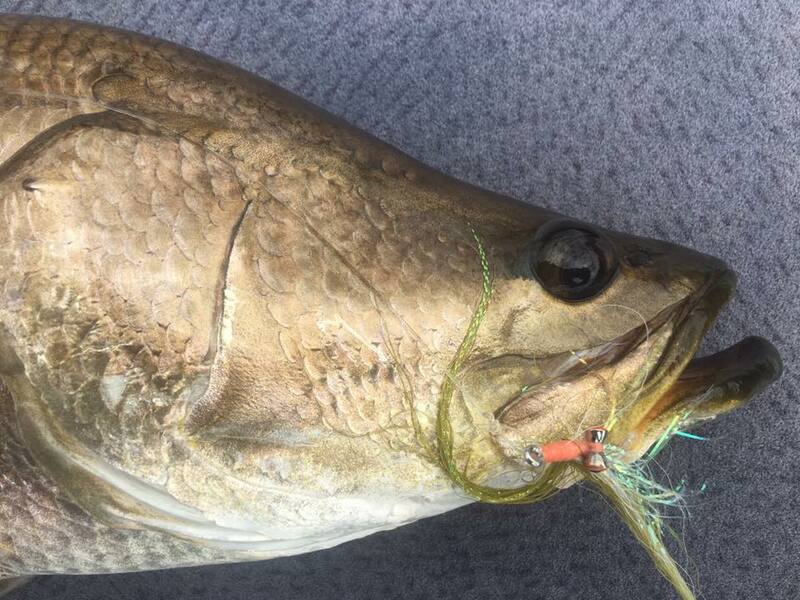 Check out Steve Starling’s article Flat Eight – Fly Rod Treasures of the Tropics where he nominates his pick of the eight most eligible and desirable fly rod target species to be found on our shallow tropical flats, and offers some valuable tips on finding and catching them. 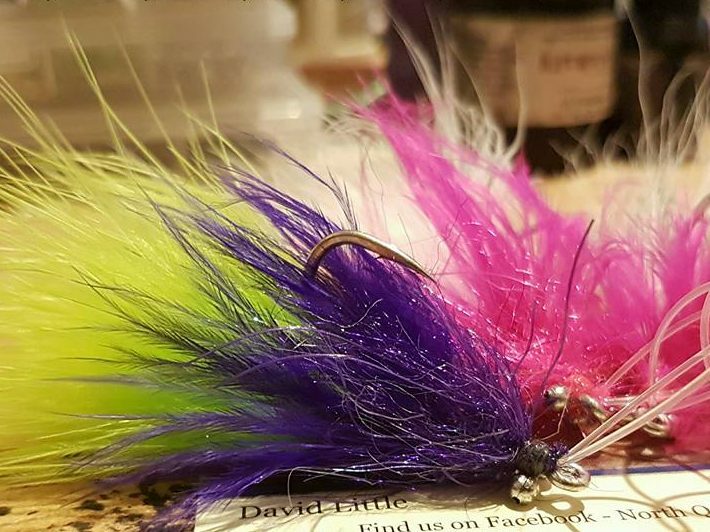 David Little runs NQ Saltwater Flies, tying flies in North Queensland specifically for our local species. We are using a number of his photos throughout this site with his kind permission.